Make Your Old Computer Run Faster Instantly ! Here's How ! It gets really irritating when you use a slow old computer in the age of Quad-Core processors. There are mainly two reasons why you would want to make your old computer run faster. 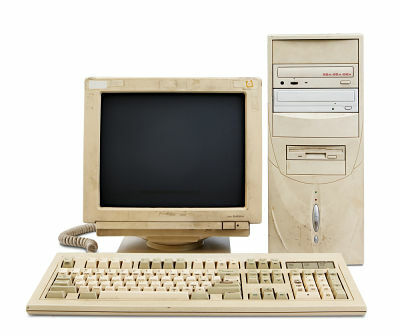 You don't want to throw away your old computer. Whatever may be the reason, I will give you some ways to help your old computer breath some life. Upgrading other parts of the motherboard such as processor or graphics card are out of the question but you can always upgrade your computer's RAM. 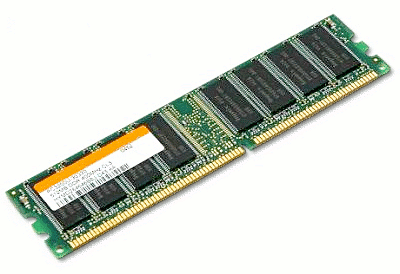 While it may be difficult to find the right version of RAM for your computer, you can always lookup on classified ads sites and online shopping websites. If lucky, you might get it there. Remove all the icons in your desktop. After the cleaning, there should be only two icons - My Computer and Recycle Bin. Remove files from your drive where your OS has been installed. Transfer the files to other drive until the free space is more than 40%. Uninstall crappy softwares like toolbars and others which you don't use. It might seem impossible to get rid of all your beloved programs at first, but do it anyway! When used for a long time, the files in your computer gets fragmented. In simpler words, it gets difficult for your computer to search for the required files and thus making your computer run slow. Go to - Start > Accessories > System Tools > Disk Defragmenter. When using a old computer, its better to keep away from the fancy transitions and other stuff. Right click on My Computer > Advanced System Settings > Under the Advanced Tab, check for Performance and click Settings > Adjust for Best Performance > Apply . CCleaner is a great piece of software. You can use CCleaner to clean temporary files and fix your registries. Doing both of the task will definitely help improve the performance of your computer. Story: It had been a long time since I had run CCleaner on my computer. So I decided to run it. You won't believe that I had 12 GB of temporary files on my computer! Open your CPU's cabinet and grab a vacuum cleaner and start blowing on the motherboard. Dust the cobwebs and clean the cabinet completely. 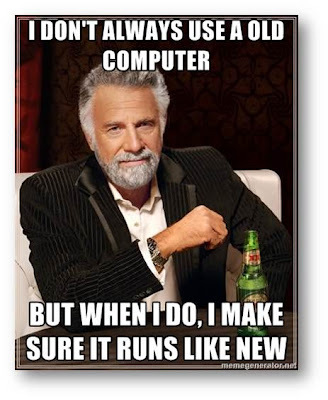 Most probably you are running Windows OS in your old computer. While its not bad but there are other OS which can run faster on your old computer and one such OS is Puppy Linux. So here you have it, somes ways to make your old computer run faster. Do you know any other way to do the same? Do have have any questions or queries? Do all of that in the comments section below. Don't forget to share this article with people with old computers!